Rathmell Archaeology provides commercial archaeological and heritage consultancy services to developers and their agents, land managers, civil engineers, heritage authorities and local government departments across Scotland. With a strong graduate workforce collectively providing an extensive range of knowledge and specialist expertise, we are able to apply academic rigour to a commercial setting, maintaining a fine balance between the need for profitable development and archaeological preservation. Acting on behalf of our clients throughout the planning process, our primary aim is agreeing packages of mitigation to allow their development to move forward in a time and cost-effective way. Archaeology is an unqualified risk for developers and fully understanding the liability at the earliest possible stage is advantageous and streamlines the planning application process. 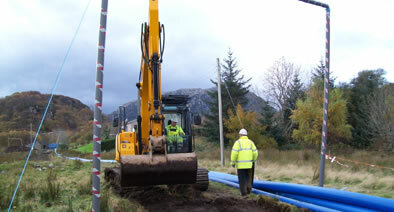 We are client focussed, our objective being to assess and minimise risk in order to enable development. 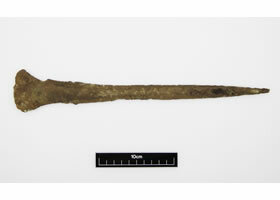 Our excavation of a cairn at Cloburn Quarry has recovered a rare bronze rapier as well as two bronze age burial cists, dating from 2100-1900BC. We have the capacity, experience and a workforce that allows us to work across a wide range of sectors and different types of projects, providing an extensive range of professional services to commercial clients who are required to take account of archaeology. 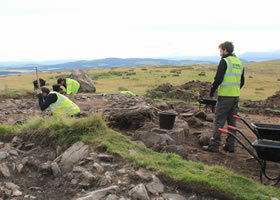 Rathmell Archaeology is also committed to enabling public access to archaeology both in commercial work and through supporting Community Projects throughout Scotland.